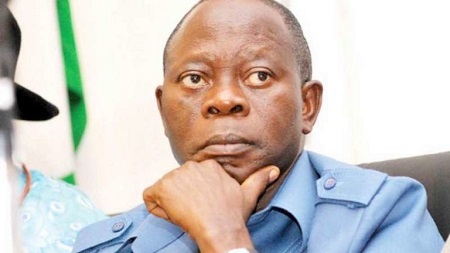 National Chairman of the All Progressives Congress (APC), Adams Oshiomhole has said that sins of politicians are forgiven once they decamp to the party. “It includes my own brother, my friend who comes from my own clime, Henry Duke Genebe. He is the former organising secretary of PDP and we also have former vice chairman PDP and leader of Edo North of PDP. We also have my brother Chief Esheshi Godwin. He is also former council chairman and my very dear friend. We have quite a number of other leaders who have come. We have quite a number of other leaders who have come… in fact, once you have joined APC, all your sins are forgiven,” he said.